Being the largest winery in town allows us to offer our clients the largest selection of products. Whether it be a more conventional and well known, Chardonnay, Merlot or Pinot Noir or something more exotic like a Strawberry Zinfandel or Peach Chardonnay, we have something for everyone. Your problem will be trying to decide which wine to try next. 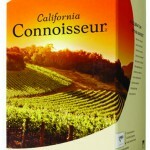 As proof of our commitment to our products and expertise, we offer a "No Hassle" guarantee of your wine. If you are not completely satisfied with the quality, appearance and/or taste of any of our wine products; just return the remainder of your unconsumed wine to us and we will be happy to exchange it for any other product in our store of lesser or equal value at no cost to you. This means you have nothing to lose...we stand behind our products. We regularly stock over 170 different types of wine kits, offering over 50 wine varietals and 10 different varietals of fermented beer, offered through our product suppliers. In addition we also offer supplies for the home brewer. As well, our suppliers regularly offer seasonal specials before Christmas and in the spring to introduce new varietals to our clients. Uninhibited, impulsive, and a little defiant - maybe not your average wine description, but hey, this isn’t exactly your average wine. Cheeky MonkeyTM shakes off the uptight attitude and rules around wine because we know good wine isn’t determined by the price tag, brand name, or some expert’s opinion. Good wine is whatever you want it to be, and it pairs with whatever you want to drink it with. Maybe that’s a steak. Maybe it’s a bag of chips. Maybe it’s just another glass of wine. WE’LL CHEERS TO THAT. Experience the radiance of fine wines with Cellar CraftTM Sterling. 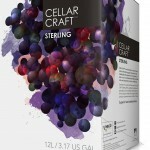 With a polished combination of grape juice and concentrates, Sterling finds the shineof popular varietals from across the globe, giving you a premium wine in as little as 5 weeks. Legacy ultra-premium 6 week wine kits are skillfully blended from vintage-class varietal grape juices and concentrates from renowned wine producing countries around the world. 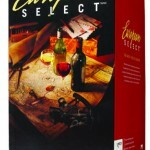 Each kit comes complete with everything required to make exceptional wines to enjoy on any occasion. Legacy wines will develop even richer characters with traditional cellar aging. 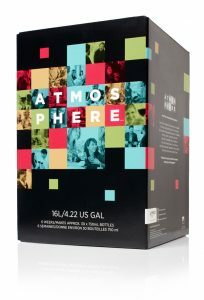 Accent your everyday with AtmosphereTM. Whatever the mood, no matter the moment, create your own AtmosphereTM. Every year Passport SeriesTM takes us to new countries - from highly touted up-and-coming regions to age-old vineyards with long histories of excellence – it is an adventure through some of the most prominent and well respected wine growing regions around the world. Every year an adventure; every bottle an expedition. This is the road less travelled. Where will your Passport take you? 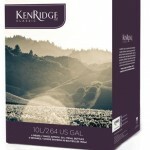 specialty wine kits contain 12 litres of full strength must and produce 12 litres of finished wine in 6 weeks. You add no water! Après work, Après play, Après any day. 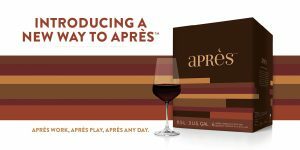 Raise a glass and say cheers to Après, your after-dinner indulgence or special occasion showstopper. These flavourful and aromatic specialty wines offer uncompromising quality and allow you to enjoy the sweeter side of life. Proudly share your delicious dessert or ice wine style while celebrating with family and friends, or put up your feet at the end of the day and unwind while enjoying a sweet treat.